This anthology takes us on a whistle-stop tour of the centuries, offering a flavour of the topics and the styles of Welsh poetry in different eras. Many of them are connected to the country\'s landscape and geography in one way or another, and a collection of images are included to celebrate this connection. Further Information: There are, for the moment, an encouraging number of young and gifted Welsh poets continuing a renaissance of the strict-metre tradition with their fresh energy. The cultural roots goes back to the master poets of the royal houses – the earliest examples to have survived go back to the 6th century, but the craft is believed to have another earlier thousand years of oral history. The tradition has survived thus far by transmission from one generation, one social group to another. 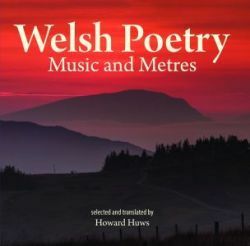 This anthology takes us on a whistle-stop tour of the centuries, offering a flavour of the topics and the styles of Welsh poetry in different eras. Many of them are connected to the country’s landscape and geography in one way or another, and a collection of images are included to celebrate this connection.